At the press of a single button, DSC radio technology can put a Coast Guard rescue helicopter overhead within minutes. But in the 12 years since the government required manufacturers to include this technology, only a small fraction of U.S. boaters have done the two things to enable their VHF radios for digital selective calling. The first: Register the radio with the Federal Communications Commission to obtain what is called an MMSI, or Mobile Maritime Service Identity, number. The second: Connect a few wires to integrate the radio with the ship’s GPS. Easy, right? Evidently it’s not easy enough. 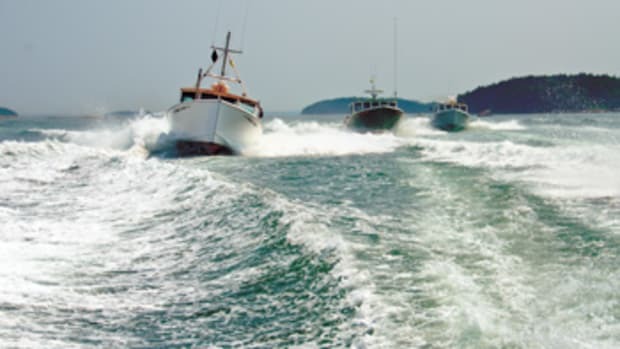 Many in the marine industry regard both the registration and GPS integration procedures as overly complicated. One electronics engineer describes the entire process as clunky. And as the public balks at DSC, America’s new and hugely expensive rescue system cannot live up to its full potential. Coast Guard statistics for the source of distress calls show that only a tiny percentage of them have been initiated by DSC. Last year there were 263 DSC calls, compared with 15,882 voice calls over VHF channel 16. More disturbingly from the Coast Guard’s point of view, 7,285 rescue calls were made using cell phones, the method the Coast Guard considers least preferable (see accompanying story). The result is that the Coast Guard and the National Marine Electronics Association have launched a new initiative to encourage more boaters to embrace DSC. It includes industrywide standardization of wiring, and even suggestions that VHF radios have built-in GPS receivers. The initiative, however, is getting a cool reception from some of the people who design and market these radios. Despite inquiries to FCC officials, no one at the agency has said how many owners of recreational boats have obtained an MMSI number. Non-government groups are more forthcoming. 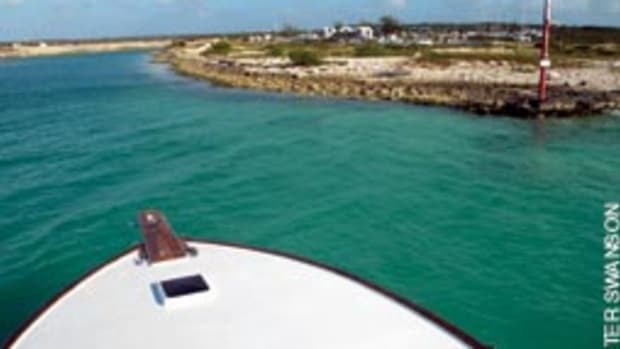 To make it easy for boaters, organizations such as BoatU.S. and Sea Tow have become agents for the FCC, registering radio MMSI numbers for free. BoatU.S. (www.boat us.com/MMSI) says it has registered about 60,000 boats, and Sea Tow says it has registered 25,000 (www.seatow.com, click on “Boating Safety”). The two organizations account for the majority of recreational vessel registrations, according to Charlie Zaloom, Sea Tow’s vice president for business technology. Zaloom says FCC officials have told him that 110,000 to 125,000 MMSIs have been issued to pleasure boaters. No matter how one parses the numbers, that’s a small percentage of the boats one would expect to be equipped with a fixed-mount VHF radio. 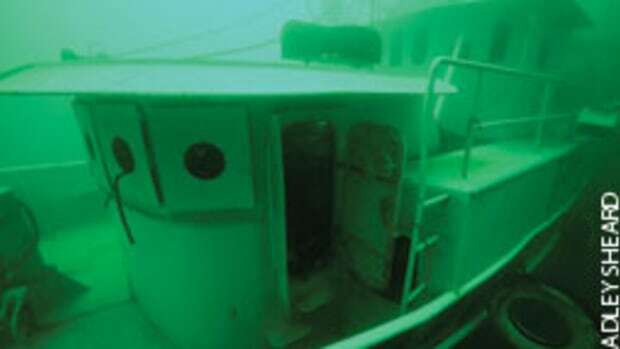 The radio industry estimates that about 300,000 VHFs are sold in the United States annually, so if only half of those were fixed-mount units on recreational boats — that is, not handhelds and not aboard commercial or military vessels — the number of boats with assigned MMSIs is likely fewer than one in 10, figuring from 1999 when the U.S. government required that all VHFs be DSC-capable. DSC’s standout feature is a mayday button that sends out the vessel’s MMSI and, when integrated with GPS, its precise position. 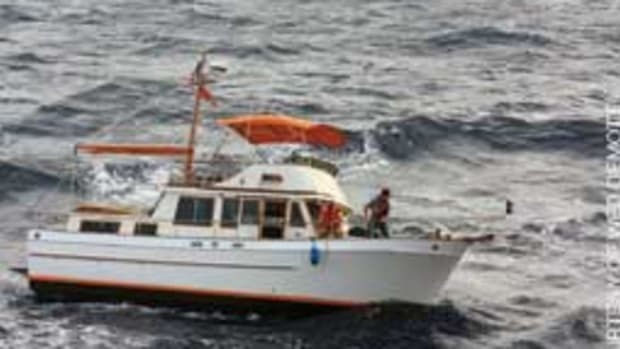 In other words, rescuers know who owns the boat, what it looks like and where it is. If the skipper is busy pumping, plugging a leak or putting out a fire, the radio will continue to send the mayday. 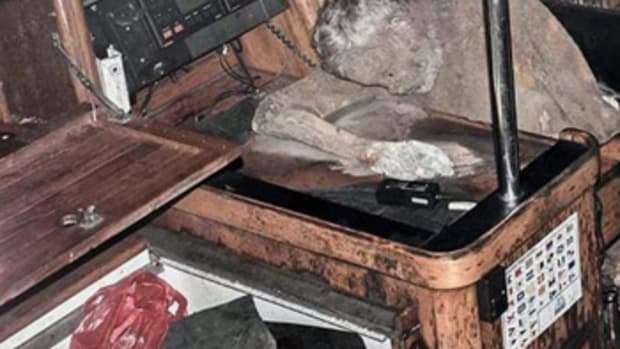 Any boat with a DSC-capable VHF radio — whether or not that radio has an MMSI or GPS connection — will hear the alarm and see the position of the vessel in distress on its display. The United States has just spent $1.1 billion for the Coast Guard to implement Rescue 21, a state-of-the-art electronic lifesaving system that now covers 37,000 miles of American coast. Although Rescue 21 radio towers have superb radio-direction-finding capabilities to help pinpoint the source of a broadcast on the chart, nothing beats having the precise latitude and longitude of a sinking boat embedded in a DSC mayday. This can be critical when the emergency involves people in the water, given the speed with which shock and hypothermia can kill. Officials involved with radio policy and Rescue 21 are disappointed by the boating public’s lack of interest in DSC. In February, Coast Guard Rear Adm. Robert Day wrote to the NMEA asking for help. Day said nine in 10 DSC distress alerts have no position information because the radios are not connected to a GPS, and six in 10 DSC calls have no MMSI registered to the radio of origin. “Despite the promises DSC technology offers in significantly reducing the alerting and search time for mariners in distress, there’s little a Coast Guard watchstander can do after receiving a distress alert with no position information, using an unregistered MMSI and having no follow-up voice communications,” Day wrote. He said part of the problem was the industry’s failure to adopt a standard connector to link radio and GPS, instead of groups of wires from the back of each unit. (Day could have gone further; there isn’t even standard color-coding for wires if the GPS and VHF are made by different companies.) 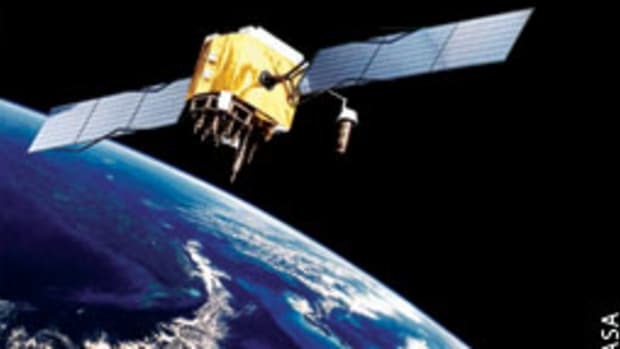 The admiral suggested that VHF manufacturers be encouraged to incorporate GPS into their radios so consumers won’t have to do anything to make position data available. David Hayden, executive director of the NMEA, says the organization’s standards committee has begun looking at ways to address Day’s concerns. The NMEA is the organization that established the standards that allow electronic equipment from different manufacturers to exchange information. If color-coordinating wires has opposition, imagine the reaction to a proposal that VHF radios have a GPS inside them. Interviews with several people in the marine electronics industry, all of them manufacturers of GPS products and VHF radios, reveal general hostility to the idea of combining the two, particularly in fixed-mount applications. 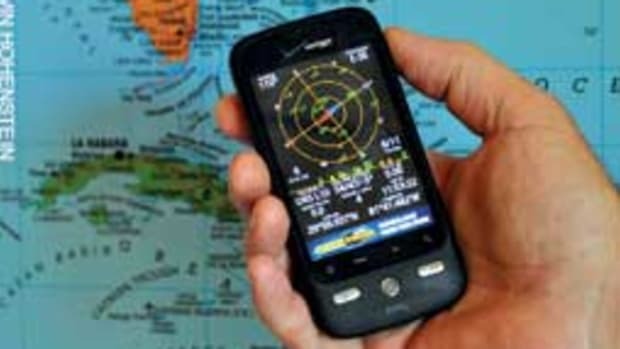 Some handheld radios are already available with built-in GPS, but they are used differently than fixed-mount units, according to Scott Iverson, product manager for Standard Horizon (www.standardhorizon.com). Handhelds are customarily used outdoors with an unobstructed view of GPS satellites. Iverson says a combo unit would probably work fine from the open dash of a center-console boat, but not so well mounted inside a vessel, where the structure could degrade GPS reception and thus require an external GPS antenna. Either solution would add to the price of the radio. Engineers at Garmin (www8.garmin.com) say the same, as does Eric Kunz, product development manager for Furuno USA (www.furunousa.com). “How many people will not buy a VHF in the first place if the installed cost of a $150 VHF is doubled because a GPS/antenna is included with it?” Kunz asks. People who sell radios don’t want to create a fix for DSC if it also means creating a disincentive to buy radios. Who can blame them? The boating public has already begun to lean away from VHF as the primary means of communicating on the water, as evidenced by the increasing number of cell phone calls seeking help from the Coast Guard. Todd Crocker is known in the marine industry as a radio specialist, having served in executive roles at both Standard Horizon and Uniden (www.uniden.com). Crocker may be in the minority when he argues that DSC radios perhaps should come out of the box fully functioning, with built-in GPS and owner registration at the point of sale. Another country’s government probably would issue a decree that all recreational boats be equipped with fully functional DSC systems, the way U.S. regulations now require fire extinguishers and life jackets on board. Barring adoption by fiat, or the success of the latest campaign by the NMEA and the Coast Guard, DSC may continue to languish. By contrast, AIS is becoming very popular among recreational boaters. Under the Automatic Identification System, commercial vessels are required to continually broadcast their position, heading, speed and ship identification information. Recreational boaters are buying AIS receivers and integrating them with their chart plotters, which display AIS vessels on the screen. Some recreational boaters are even buying Class B transponders to signal their own position via AIS. And guess what? To do that they need an MMSI number from the government. As Kunz at Furuno points out, the primary benefit of DSC — distress calls at the push of a button — is essentially intangible. 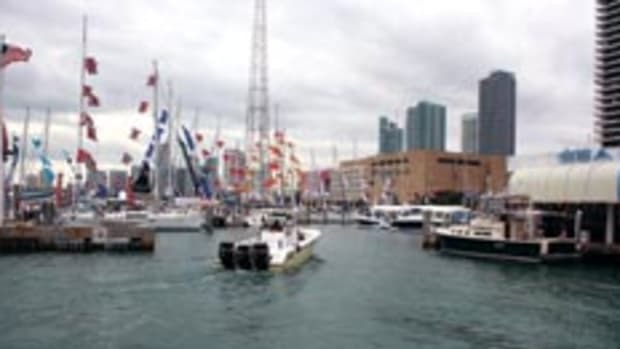 Hayden at the NMEA agrees, saying that American boaters in general are not very safety-conscious. Our boaters don’t get up in the morning thinking that today is the day they might need rescuing. The ancillary benefits of DSC — discreet hailing and position polling — may be tangible but have little appeal. AIS, on the other hand, is tangible and appealing. 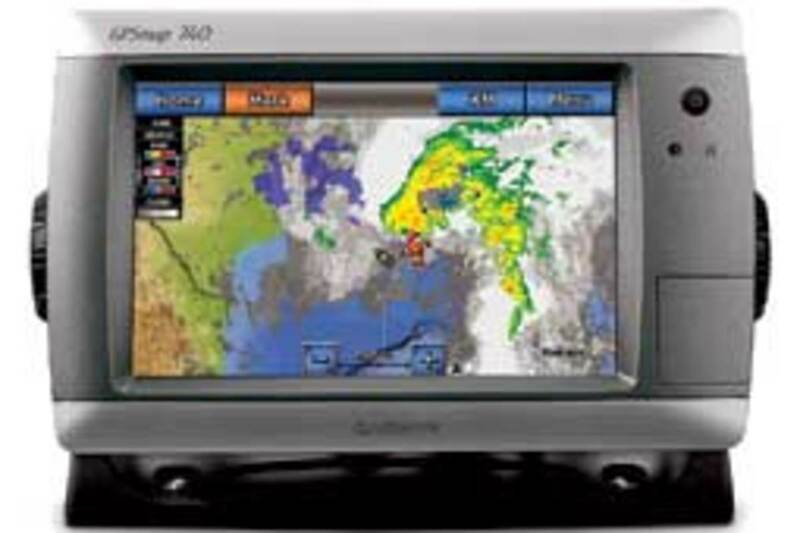 AIS lets you know where other boats are, and it won’t work unless you connect the three or four wires on the AIS receiver to the wires on your chart plotter. Who then would buy AIS and not integrate it with their other electronics? As part of their new initiative, the Coast Guard and NMEA want to renew efforts to educate boaters about the benefits of digital selective calling. Since 1999 there have been a slew of articles in boating magazines citing the benefits of DSC, not to mention education efforts by BoatU.S., Sea Tow and the Coast Guard Auxiliary. Education, it would appear, has had limited, having persuaded fewer than one in 10 boat owners to fully enable their DSC radios. Asked whether a distrust of government also might be a factor in the low adoption rate, most of those interviewed for this article dismiss the notion as far-fetched. Survival industry gadfly Doug Ritter, however, is not one of them. Ritter is editor of the website Equipped to Survive (www.equipped.com), and he serves on a special committee of the Radio Technical Commission for Maritime Services, a body that recommends government standards for radio devices. He says some Americans would see a fully enabled DSC radio as potentially intrusive. - Should the C.G. embrace mobile phones? Should the C.G. embrace mobile phones? Will LightSquared mean lights out for GPS? Will biodiesel ever work for boaters? San Francisco powers its Red & White sightseeing fleet with biodiesel. Seattle’s King County Water Taxi uses biodiesel to move people across Puget Sound.